Since its creation, Facebook has been a very interesting platform with amazing features and is one of the world’s largest social media platform with billions of active users. Because of its vast populated users Facebook you can build a lot of fan base and make a lot of friends including old and new once on the platform. 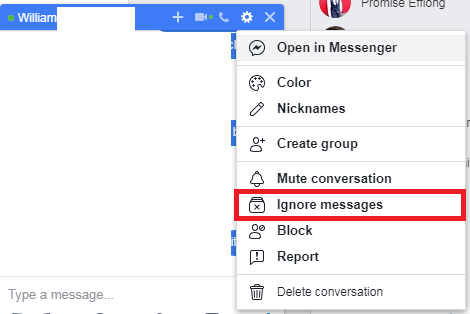 I have set up an interesting tutorial that’s basically going to teach you How To Ignore Messages On Facebook. What happens when we ignore messages on Facebook? If you put someone in IGNORE MESSAGE LIST, if that person messages you, the message sent by him/her will not be delivered into your INBOX. Rather the message gets into the “filtered messages” list. Also, when one is put in such list, he/she doesn’t gets notified about it. Messages sent by him/her goes unseen. One good thing about ignoring messages on Facebook is that, the people you ignore will never notified that you ignored their messages. Any message they send to you will go to “Others Messages” instead of your inbox. When you put someone in ignore list, they can still send you messages, but you won’t be notified about it. Think of ignoring messages as a feature that enables you to not be bothered by someone’s messages without actually blocking them. Like I said earlier, The person you ignore won’t notice any change. They will not be able to know whether you’ve seen the message or not. Also, you’ll not get notified when they text you. You’ll have to open the ignore list in order to see whether he/she has sent you a message or not. 1. Log into your Facebook account. (Facebook web). 2. 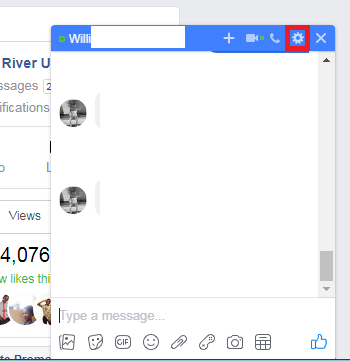 Go to the chat of the person you want to ignore and click on the settings icon. 3. Click on ignore messages. 4. Confirm your selection by clicking on ignore messages. 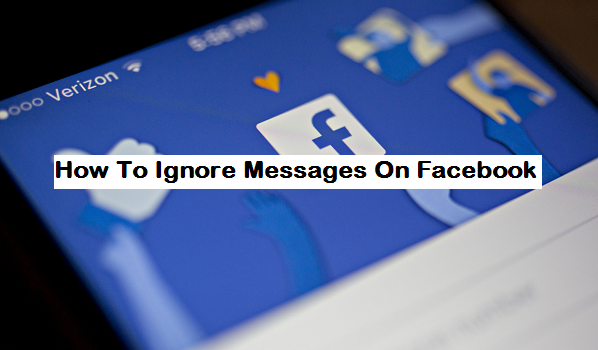 There you have the guides on How To Ignore Messages On Facebook, When that is done, the user(s) message will be ignored, and he or she will also be banned from sending you messages. Basically, I would want to believe that it was quite easy and you have gotten the steps above. But if in the process you encounter any difficulties, you can simply use the comment section and drop your questions regarding this post. Thank you for sticking around to the end of this post, I’m sure it was helpful. Q: If I successfully ignore any message on Facebook, will the person get any notification? A: The answer is No. This is because there is no specific notification when you ignore a message on Facebook.